"In many ways, a lawsuit is a battle. When I take on a case, I become the aggressor. I battle with the defendant, the defense attorneys and their insurance company. I do this by forcing them to provide the discovery we need to prepare our case, including getting the depositions of all pertinent witnesses and obtaining the necessary evidence that will prove our case at trial. It is equally important to prepare my clients for litigation. I always take time to make sure that they are adequately prepared to present themselves in the best possible way at depositions and in trial. Preparedness and execution - that's how to bring litigation to a successful conclusion." Brilliant and probing are two words used to describe Jay Winckler. He examines each aspect of a case until he has found the winning piece that others have failed to see. Always head and shoulders above the crowd, Jay received a full academic scholarship as a Presidential Alumni Scholar at the University of South Dakota, where he graduated Phi Beta Kappa and then proceeded to another academic scholarship from the University of Texas Law School, where he got his law degree "with honors". 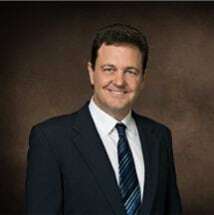 He is Board Certified by the Texas Board of Legal Certification as a trial specialist in Personal Injury Trial Law. Jay brings intelligence and persistence to the practice of law and that has made for a successful combination. Jay's success has allowed him to represent people from all over Texas - McAllen to Amarillo, Texarkana to El Paso. With an emphasis on medical malpractice, Jay Winckler takes his outstanding legal skills and translates it into his clients' success.